My last post reviewed nutrition in pregnancy and appropriate weight gain. 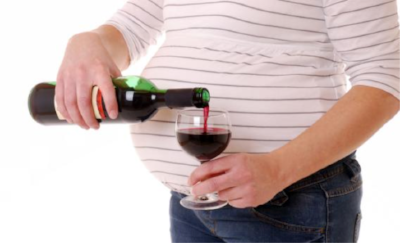 For this month’s topic I will cover alcohol in pregnancy as this is a common lifestyle change that women typically need to make during pregnancy. I will try to provide answers to common questions regarding alcohol consumption prior to pregnancy and during pregnancy. Spoiler alert: the safest is no alcohol! However, there is some uncertainty about the safety of alcohol use in pregnancy, particularly light drinking. Risks of alcohol consumption during pregnancy include birth defects, developmental abnormalities, preterm delivery, growth restriction, miscarriage or stillbirth, and neurocognitive and behavioral problems after birth. Unfortunately research has not been able to determine a safe level of alcohol intake during pregnancy. Studies about the effects of alcohol are difficult due to confounders like drug and tobacco use, genetic susceptibility, variable maternal drinking patterns, and variation in maternal ability to metabolize and process alcohol. The same amount of alcohol use in multiple women can cause variable effects. Some doctors recommend complete cessation of alcohol use during pregnancy while other doctors and scientists say that occasional light drinking is unlikely to cause problems. There is mixed information from fellow pregnant friends and moms as well, some who may have drank occasionally during pregnancy and feel that their children turned out just fine. Most people are aware of the profound complications that can occur with heavy alcohol use during pregnancy. There is good evidence that heavy drinking, and binge drinking can cause fetal alcohol syndrome (FAS), or other fetal alcohol spectrum disorders (FASD). These disorders include facial dysmorphism, central nervous system involvement, and growth retardation. In the US, the prevalence of FAS is estimated to be 0.2% with a prevalence of maternal alcohol consumption of 12.2%. All women who consume alcohol during pregnancy are at risk of having a child with FASD, but other risk factors increase the chances. These include poverty, poor nutrition, substance abuse (drugs or tobacco), mental health disorders, and low educational attainment. So some women may ask the question- if I don’t have these other risk factors, and don’t drink heavily, will my pregnancy be ok? Emily Oster, an economics professor, included this question in her book, “Expecting better: Why the conventional pregnancy wisdom is wrong.” She reviewed studies that compared women who drank lightly or occasionally during pregnancy to women who did not drink during pregnancy. After her review, she concluded that light drinking does not affect outcomes for children. She advocates for women to make their own decisions, and that some women may feel comfortable with an occasional drink in second and third trimesters (not first, due to risk of miscarriage). Experts in the professional organizations of the American College of Obstetricians and Gynecologists, the Center for Disease Control, and the American Academy of Pediatrics recommend that pregnant women take the safest route, and abstain completely from alcohol during pregnancy. The Royal College of Obstetricians and Gynecologists (in the United Kingdom) says that although abstaining is the safest, light alcohol use has not been shown to be harmful. In the end, a woman’s decision about alcohol use during pregnancy is a personal one. One the one hand, there is not definite evidence that light drinking can cause complications. It may be fine to have an occasional celebratory glass of champagne for a special occasion, or even a drink per night. On the other hand, 9 months (or 40 weeks) is a short time frame in the big picture, and pregnancy is a great motivator for lifestyle changes. I can agree that most likely an occasional drink here and there during pregnancy will not cause a problem. I would certainly not be alarmed if a patient reported to me that she had a glass of wine at dinner or a celebration. But my viewpoint as an obstetrician is a conservative one. As I cannot advise a safe amount of alcohol, I recommend no drinking during pregnancy. In addition, as a pregnant woman (more on that later!) I have chosen to abstain for alcohol until after delivery. Is it ok to drink alcohol when trying to conceive? This is a tricky question! Again, the most prudent advice is to completely abstain from alcohol when trying to conceive because pregnancy cannot be immediately confirmed. There is a waiting period of about 2 weeks after conception before a home pregnancy test is positive. In addition, heavy drinking can affect menstrual cycles,fertility, and the ability to get pregnant. 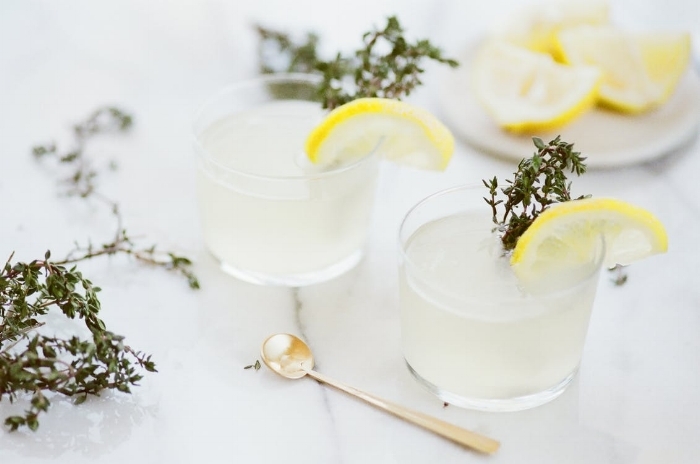 However, for couples who struggle with conception and infertility, it can feel restrictive to completely abstain from alcohol every month (for up to a year or more) as this can be a big lifestyle change and affect social activities. A more lenient behavior could include drinking during menstruation and prior to ovulation only (about two weeks into the cycle) or only light to moderate drinking throughout the month, no more than 1-2 drinks per occasion. I just found out I’m pregnant and I drank last weekend! There are many women who may have had a few drinks during early pregnancy before they had a positive pregnancy test, and stopped once they were aware of the pregnancy. For these women I provide reassurance that most likely, everything will be fine. They should not be stressed about the risks or feel guilty about their behavior. I do not recommend any special testing or intervention outside of standard prenatal care. Can I eat this rum cake? Yes, the alcohol is cooked, so you should not be getting the same effect as you would from drinking rum. You should pick alternative desserts to those with uncooked alcohol, like boozy milkshakes. Oster, Emily. “I wrote that it’s ok to drink while pregnant. Everyone freaked out. Here’s why I’m right.” Slate. Sept, 2013. Slate.com Web. 1 Nov. 2017. Center for Disease Control and Prevention. Alcohol use among pregnant and nonpregnant women of childbearing age - United States, 1991-2005. MMWR Morb Mortal Wkly Rep. 2009 May, 58 (19): 529-32.